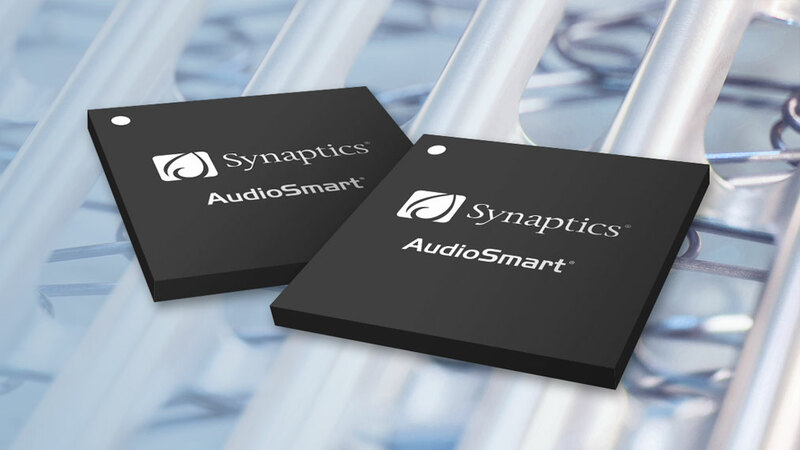 Synaptics' turnkey hardware and software solutions enhance voice communication and automatic speech recognition performance in real-world, noisy environments. Our comprehensive AudioSmart family of DSPs leverage proprietary far-field voice processing algorithms that enable OEMs to deliver compelling user experiences such as reliable hands-free voice control, even during media playback. Synaptics also integrates a wake-word engine tuned to OEM-specific AI voice services such as Alexa or Clova. Detects the user's voice and cancels noise from all directions around the device (omnidirectionally), even if noise sources are from the same direction as the user. Allows the device to automatically focus in on the direction of the user's voice, 360° around the device. Enabled by full duplex acoustic echo cancellation (AEC), the Voice DSP can detect the wake word even when the device is playing music or voice prompts loudly. Accurate voice command and response makes controlling your smart home simple and effortless.